They may look sleek and harmless, but electronics contain harmful substances, like mercury and lead, that are damaging to the environment and our health. By recycling, your electronics can be disassembled and disposed of properly, making sure their hardware and the harmful chemicals contained within don’t end up in landfills but instead are repurposed. That keeps our water and air clean so that we don’t take in the harmful chemicals but can instead lead healthier lives. Plus in many states, including Illinois, it’s illegal to landfill electronics. Have an electronic that still has value in the market? Recycle with A-Team Recyclers! We’ve partnered with some of the largest used electronics retailers in the nation to provide your organization with the highest return so you can do your part for the environment while also earning extra cash! 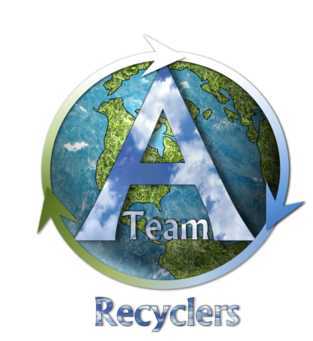 Partner with A-Team Recyclers to raise money for your team, school, or other community organization! Contact us to find out how you can use our recycling services for fundraising. Keep electronics out of landfills by teaming with A-Team Recyclers to responsibly recycle today.